For this week's edition of Time Machine Tuesday, I cast my memory lens back to three years ago and a stop at the Mesquite Dunes in Death Valley. The dead trees and bushes on a small rise before the main part of the sand dunes began looked so stark and forbidding, especially in black and white, which was how I was seeing this location in my mind's eye. The harsh, desolate feel to the location made this scene of a young couple traveling with a parent all the more amusing. This was taken during a trip to Las Vegas for Photoshop World, which is where I am now. If opportunity presents itself, and I have time in my schedule, I love to drive to Vegas instead of fly, as it means a road trip down Highway 395, the beautiful eastern side of the Sierras, the Alabama Hills, and the majestic desolation and vastness of Death Valley. I typically split the drive up into two or three days to leave plenty of time for photography. This year, however, my schedule left no time for a photo road trip. 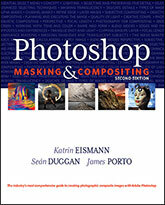 I will be giving a presentation on Photoshop Masking & Compositing this week at the Peachpit Bookstore on the Expo Show floor on Wednesday September 4th at 4pm. 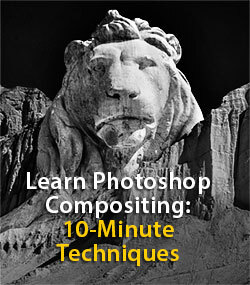 I'll also be showing compositing techniques and answering Photoshop and Lightroom questions at the Bay Photo booth on the Expo floor on Wednesday and Thursday. Stop by and say hello! It's time once again for another edition of Time Machine Tuesday, where I search back in the archives to find an image at least one year old that was taken at about the same time of year. Today's image is from ten years ago and was created with a modified plastic Holga that I turned into a pinhole camera. The tripod was in the river for these shots, with the water level only an inch below the bottom of the camera. It was not taken with a triptych in mind, and it was only after I had developed the film that I noticed these three consecutive negatives had the possibility to make an interesting arrangement if I grouped them together. After scanning each negative seaprately, they were brought together in Photoshop where additional tonal adjustments and digital "hand coloring" were applied. There's no escaping the Titanic this week. Certainly not today, April 15, 2012, one hundred years to the day since the world's most celebrated ocean liner sank in the icy waters of the North Atlantic two hours and twenty minutes after striking an iceberg. I'm sure the TV channels have been awash with specials and documentaries on the disaster. And of course, there's also no escaping the media blitz in support of the re-issued 3D version of James Cameron's blockbuster film about the ship. The Titanic has become a part of our collective imagination like few other disasters have. It is a story, like the ship itself, of epic proportions. I suppose that with enough time and distance from an event, it becomes easier to shrug it off, or trivialize it. But when I first saw a kid's bouncy house in the shape of the sinking Titanic a couple of years ago, I was both fascinated and just a little appalled. After all, over 1,500 people died when the ship sank. The idea of turning such a horrible tragedy into an inflatable bouncy house for little kids to jump about in just seemed more than a little surreal to me. In the corporate board rooms where new bouncy house designs are considered and decided upon, was it a difficult pitch, or was it embraced right away? And what other ideas were put forward that never made the cut? Perhaps other tragedies or grim circumstances were considered as good thematic material for bouncy houses. The Lusitania (complete with inflatable torpedo sticking out of the bouncy hull)? The Hindenburg (a disaster involving an actual inflatable object...warning, do not inflate with hydrogen!)? The wreck of the Andrea Doria? What conditions need to be in place, and how much time must elapse before a tragedy becomes a bouncey house? I went to the store yesterday evening, just as dusk was falling across the land. The Christmas decorations were still up in all of the shopping center parking lots. As I returned to my car I looked up and saw this tree decoration on the light pole. It's an odd time, that span of days between Christmas and New Years. The memory of Christmas is still fresh, but so is the feeling that it's time to get on with it and move on. A new year is just offstage, waiting in the wings, but the decorations and holiday sets linger, until the seasonal stage hands arrive to take them down and pack them away for another 11 months. This week is an intermission of sorts, between the year that is ending and the one that is about to begin. It's time for the next act. And, speaking of the next act, my next workshop is coming up soon on February 11 -12 at the Center for Photographic Art in Carmel, California. 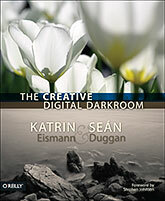 I'll be teaching The Creative Digital Darkroom: Photoshop Beyond the Basics. For a full description of the class, click the title to learn more. There is a discounted price for members of CPA. In anticipation of my upcoming September workshops at the Maine Media Workshops in Rockport, here is another shot from Maine. This was taken a few years ago in one of the second floor rooms of the Olson House in Cushing, Maine. The camera was on a tripod and I set the rocking chair to rocking and then triggered a 1.3 second exposure. For this interpretation, I layered in the faint traces of a shot where the chair was still, as well as adding several adjustment layers to modify the character of the light and color in the room. The most significant change is the bright light coming through the window. In the original shot there was not a lot to be seen out the window anyway (see below), and I felt it worked better for the story of the image to just have that area filled with bright white light. The original rocking chair image. The Olson House is a great location for wonderful interior lighting, interesting textures and rooms full of character and mystery, but the property also occupies a unique place in art history as the location for one of Andrew Wyeth's most famous paintings: the haunting and enigmatic Christina's World. The painting, arguably one of the most famous American artworks of the 20th Century, shows Christina Olson, who had lost the use of her legs from polio, crawling through the field towards the house. The Olson House was where Christina Olson lived for most of her life. Wyeth had a home in the area and made paintings of both Christina and her younger brother Alvaro, as well as the house itself, over a period of nearly thirty years. The house is currently part of the Farnsworth Museum in Rockland and is open to the public on some days. If you're in the mid-coast Maine area at some point in the next few months, the Farnsworth has a special exhibit on Andrew Wyeth, Christina's World and the Olson House, celebrating the 20th anniversary of the acquisition of the farm house by the Farnsworth Museum. It includes abut 50 watercolors and drawings of Christina and her brother Alvaro, as well interior and exterior views of the Olson House (the iconic image Christina's World is part of the collection at the Museum of Modern Art and will not be a part of the exhibition). The exhibit runs through October 30th. I definitely plan on making a trip to see it when I am there next month. For our class field trip here a few years ago, we were able to gain access to the house before it opened for normal visiting times and we had a couple of hours with which to explore its rooms and exterior locations. It is always fascinating to see the many different ways that one place can be interpreted, both by a single photographer as well as a group of photographers. The two images below are both from the Olson House. I have two workshops this September in Maine, Advanced Digital Photography (Sept 4 - 10) and HDR & Beyond (Sept 11 - 17) and there are still some spaces in each one. Follow the links for more information on these classes. Mid-coast Maine is a great place to improve and refine your photographic vision and technique. I hope to see you there! It's Monday evening as I write this and I am getting a jump on another edition of Time Machine Tuesday. I was working on my Lightroom Tips & Tricks article for the October issue of Photoshop User and I came upon this image from two years ago. It was taken with a 24mm tilt-shift lens while I was out photographing with my students at the Maine Media Workshops. There used to be two identical eagle statues at this house, just down the street from The Workshops, but someone stole one that summer. I always thought the one remaining looked a bit forlorn, with the sign tied around him like that, waiting for word of his missing twin. 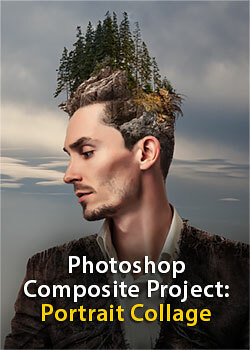 There are still some spots left in this class, so click here for more detailed information. For those of you who have ventured onto Google+, you can find me here. After some initial concerns about their terms of service regarding photos (allayed by Jim Goldstein''s excellent article), I've begun posting images there. I posted an HDR shot of the Eastern Sierras there on Saturday and in response to a comment I mentioned that I would be putting up a blog post on the post-processing evolution of the image. I had hoped to have that post up by Sunday, but other events conspired to put that off for a few days. The new plan is for the HDR image and the de-breifing on the post-processing techniques to deploy here on Wednesday, 7/27. I find it hard to resist a scene where there is a lonely curving road or path meandering off into the distance. Throw in a blue ocean in the distance and it becomes even more interesting to me. The possibility for metaphor, symbolsim and story are just too good to pass up! This was taken on my recent trip to Fort Ross with my daughter's 4th grade class. If you are standing in front of the fort, looking out to sea, this is the view. Photographed and processed on the iPhone. By using the bigger camera, I would have had a much larger file size to work with (and I may still go back to make this shot with my Canon 5D, as the location is just down the road from our house), but the native resolution on the iPhone 4 yields an 8x10 with no upsampling, so that's pretty good for this type of casual, out-for-an-evening-stroll image. Plus, I've enlarged the files to 16x20 size with great results. The key to getting good resolution when you're working with apps is to make sure that the ones you're using allow for saving the full resolution file and not a smaller, sized-down copy. All processing for this image was done on the iPhone using two apps: Tilt-Shift Generator for the radial blur and Filterstorm for the customized (as in, not a canned template or app preset) irregular hand-tinting. 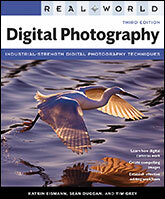 and image processing with the iPhone? Stay tuned to this space for information on iPhoneography workshops and tutorials that I am currently developing. You can also sign up for my free newsletter using the subscription form above in the right column. Indulge your creative side and take your photography skills to a new level on an island of amazing landscapes. Join Mike Shipman and I for "Icelandic Visions", August 17 - 26. We have a great 10-day itinerary planned out for exploring some of the most scenic locations that Iceland has to offer. Click here for more details. And coming up in just a week and a half, I'll be venturing to a small island on Lake Superior in northern Wisconsin to teach "Essentials of Digital Photography & Lightroom Workflow" (June 20 - 24) at the Madeline Island School of the Arts. 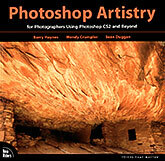 This is an in depth, hands-on workshop that is being offered for the amazingly low price of only $500. There's sill some spaces left, but sign up soon if you want to reserve a spot! I was down in the San Francisco Bay Area for the past three days on a consulting trip to visit with some of my regular clients. The weather was rainy most of the time, but the last day was the worst in terms of high winds and the amount of rain that fell. Of course, heavy rain in the lower elevations means snow in the higher elevations and I was concerned about the snowy weather affecting the road conditions closer to where I live. As it turned out, Interstate 80 was closed a few exits before my usual turn-off due to blizzard conditions and zero visibility at the higher elevations. I took an alternate route to my place but it was still a bit tricky getting up the hill to my house. We had about 9 inches of new snow last night on top of the 6 to 8 inches that was already on the ground. In the ten years we've lived here this is the snowiest winter yet, both in terms of the number of times it has snowed and the amount that has fallen. As has been the case for most of the big snow storms this year, several trees came down and the power was out for most of the day. The image above was actually taken during an earlier storm we had a month ago, but it's a fair representation of what it's like here today. The extra blur factor was created with a Lensbaby Composer. I'll be sending out a new edition of my long dormant newsletter in the next couple of days. If you're not already a subscriber, you can sign up using the form in the left-hand column.